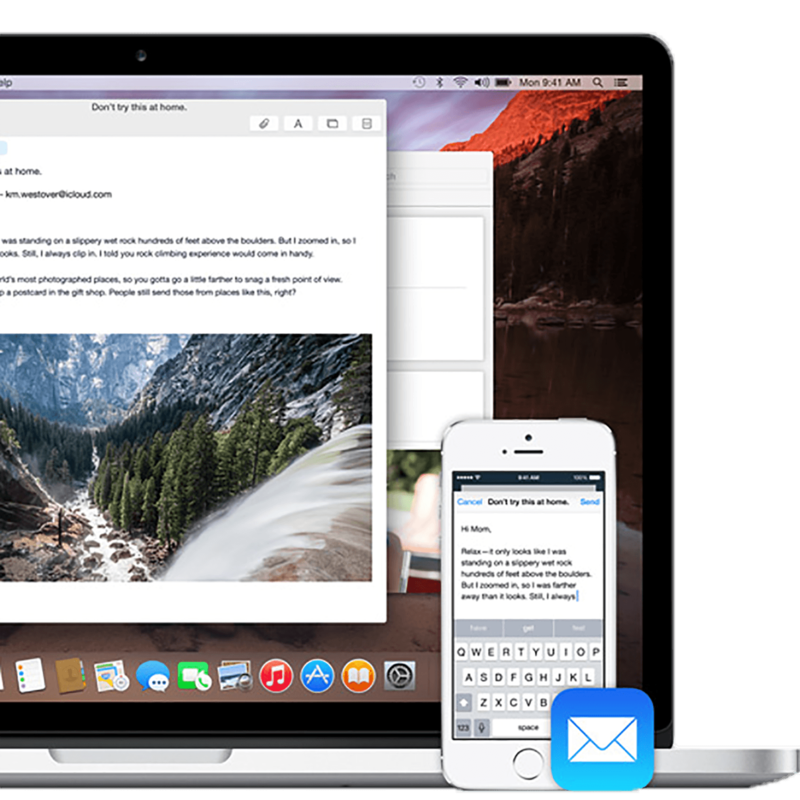 Handoff is a major element of Apple's "integration" theme, and of the new Continuity feature set for iOS 8 and OS X Yosemite, which also includes cross-compatible AirDrop, iPhone call and SMS handling on the iPad and Mac, and the new, much easier to connect, tethering service. Rather than trying to fit one interface across a range of different devices, or making the cloud the center of the universe, Apple is promising to transparently, seamlessly move whatever activity you're doing to whatever device you want to continue doing it with. It's a person-centric choice and a bold one, but if Apple delivers, it could forever change the way we use our iPhones, iPads, and Macs. How do you set up and use Continuity to handoff, relay, drop, and hot spot between your iPhone, iPad, and Mac? Here's your ultimate guide! Continuity allows you to more easily use your iOS and macOS products in concert with one another. Here’s what to do if problems come up. Continuity Camera lets you quickly add photos or documents to projects on your Mac using the camera on your iPhone or iPad. Here’s how it works. With SMS/MMS relay you can send and receive "green bubble" text and multimedia messages on your iPad as easily as on your iPhone! Call Relay lets you place and answer calls from your iPhone, using your Mac. Here's how to set up and use it! Instant Hotspot is part of Continuity and lets you share the data connection from your iPhone or cellular iPad with your Mac or other device. How do I use Universal Clipboard on my iPhone or iPad? Just copy and paste per usual. With Handoff, part of Apple's Continuity features, you can start something on one devices (like an iMessage on your iPhone) and finish it off on another (like your Mac or iPad). Here's how to set up and use it on your Mac. If Siri can't help you on Apple Watch, it can hand you off to your iPhone to continue the action.